Still in the Auvergne region, we headed north and shortly descended from the Massif Central, skirted Clermont Ferrand and eventually came to St. Pourçain sur Sioule. In the Allier department of the Auvergne region, St. Pourçain sur Sioule sits along the river Sioule and is home to around 5,000 inhabitants. The city lies at the crossroads of the north-south Clermont-Ferrand to Paris road and the east-west Lyon to Limoges highway. It is probable that a swineherd called Porcianus or Purcianus, sometime in the 5th century CE, was elevated to abbot of a monastery that was built on the hill overlooking the river Sioule. In the 14th century the village was fortified into a walled city. Around this time the it was known as St. Pourçain Arbors from the grapevines grown on trellises or arbors. Following the Revolution it was renamed Mont-sur-Sioule but after the revolutionary fervor died down it became known as St. Pourçain sur Sioule early in the 19th century. The municipal campground, contained in a park on an island in the Sioule, is very comfortable and enjoys a lot of family friendly activities. See here for more pictures of this city. 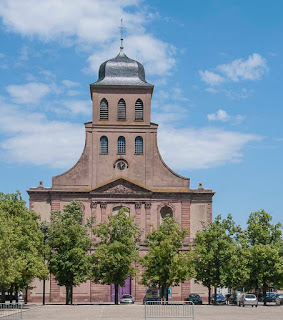 Nestled between two volcanic mountain regions in the Massif Central of the Haute Auvergne region, Saint Flour offers an insight into rural medieval France amid the grandeur of a volcanic landscape. The medieval town of 6,500 or so is on the top of the Auvergne's highest volcanic outcrops and is in the Cantal department in the Auvergne region in south-central France. The upper city is located on a volcanic dike, the lower city extends to the banks of the river Ander. There are a number of megalithic graves in the area known as dolmens that probably originated in the bronze age and there is ample evidence to confirm Roman occupation. During the French Revolution Saint Flour took several successive names. De-Christianized first as Fort-Cantal then Fort-Libre then Mont-Flour before readopting its original name in 1793. The territory of the commune was never changed. Briefly, between 1790 and 1795 it served as the préfecture of the newly-created département, before Aurillac succeeded to that position. The population at the time was around 5,300, about 1200 less than today. 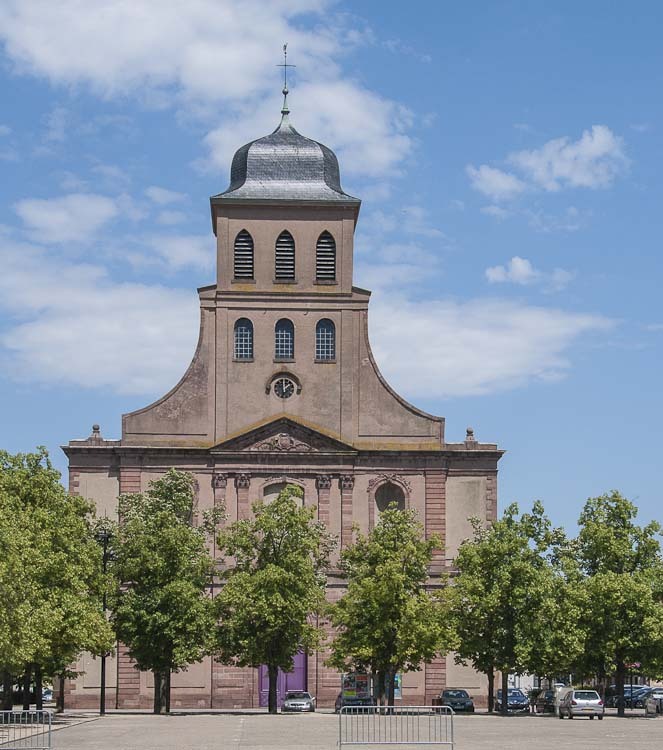 Proclaimed as religious capital of Haute-Auvergne in 1317, Saint-Flour didn't have its own cathedral until the following century. 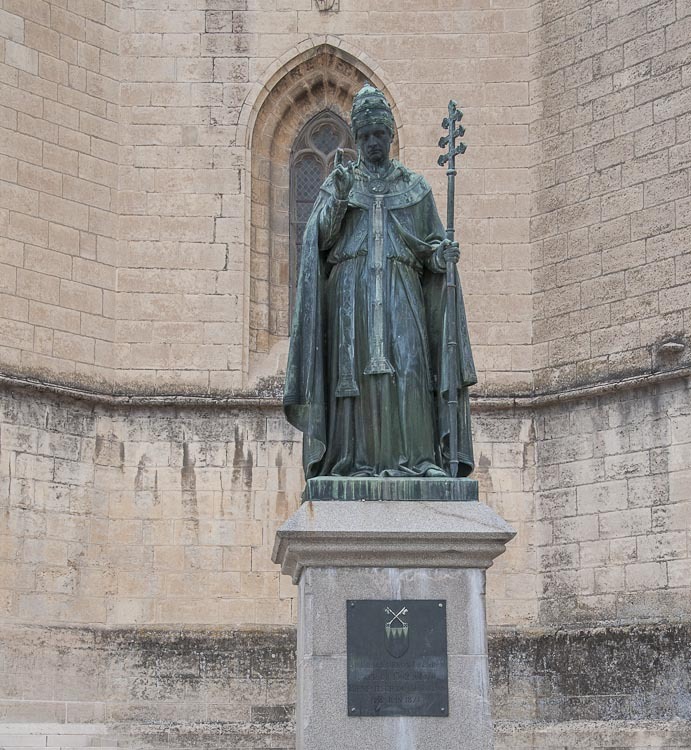 Built in the 15th century, on the ruins of the priory founded by Saint Odilo of Cluny, Abbot of Cluny, in the 11th century, the cathedral offers an foreboding exterior facade and a black Christ inside. More pictures here. Mende (pronounced "Monder"), is the capital of the Lozère department in the mountainous area of the Languedoc-Roussillon region. It is a small city of population about 12,000 and is dominated by an enormous 14th century Gothic cathedral. The basilica style cathedral is dedicated to Notre-Dame and Saint-Privat and was built by Pope Urbain V who was born in the area. Although originally in the Gothic style, a radical makeover was undertaken in the first half of the seventeenth century. 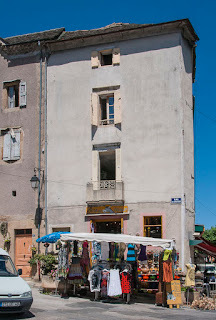 Mende is at the doorstep of the Cevennes National Forest close to the Gorges du Tarn, a massive 25-mile canyon. The are records mentioning Mende dating back to the 3rd century although it wasn't until the Middle Ages that the city really began to thrive. Mende suffered during the Wars of Religion and also from visitations from the plague before finally settling to become the department capital while retaining a small-town feel. A few additional pictures are here. 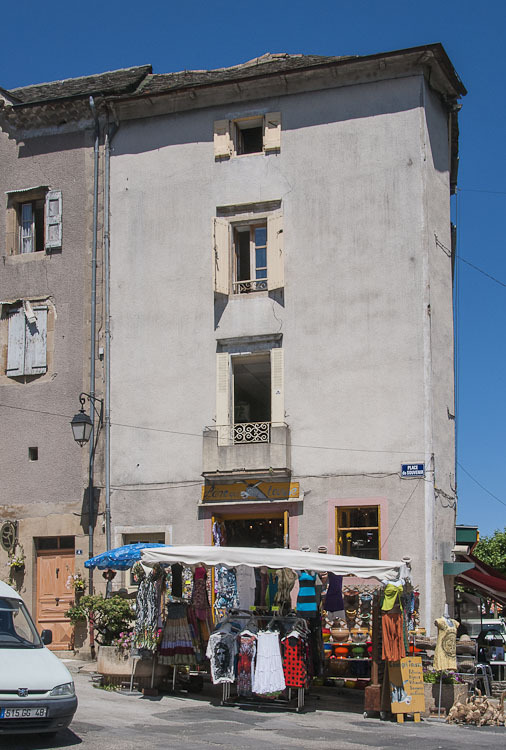 Florac, in south central France, is in the Lozère department of the Languedoc-Roussillon region. It is a small town with a population of approximately 2,000 people. Raymond of Anduze once held the barony of Florac and is recorded as using the castle there in the 13th Century. Later, in 1363, local born Pope Urbain V lent the town 300 florins for the construction of ramparts, defenses that were not unusual and offered desirable security and protection for the townspeople. These defenses remained in place until 1629 after the Treaty of Ales which insisted on the razing of fortifications as perceived "strongholds". The Château passed through a number of feudal families before being entirely rebuilt in 1652 after the Wars of Religion. During the French Revolution, it was turned into a "salt loft" and later was used as a prison in the 19th century. In the late 19th century, a then young Robert Louis Stevenson visited the area and featured the town in a chapter of his wry Victorian bestseller Travels through the Cevennes with a Donkey, published in 1879. Since 1976, the castle has been the headquarters of the Cévennes National Park, who restored it and installed a permanent exhibition on the National Park. Florac's Medieval Catholic Church was destroyed in 1561, during the Wars of Religion, and the first Protestant church was razed following the Revocation of the Edict of Nantes in 1685. In a rush to recapture the religious revenue stream after the revolution, two new churches were erected on the old sites - a Protestant church in 1832 followed by the Catholic Saint Martin's a year later. More pictures of this interesting town are here. 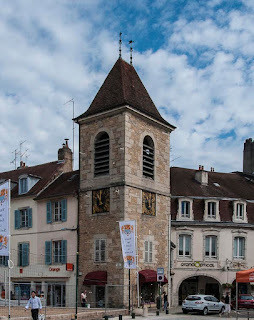 Saint-Pierre-d'Albigny, a small rural town of 3700 souls is in the Savoie department of the Rhône-Alpes region. It is 290 miles from Paris and about 420 miles from Calais. A market is held in the town each Wednesday morning. This fairly featureless farming town still supports an Office de Tourisme, a Mairie, a rundown hotel and the obligatory church. Certainly not a place to go out of one's way for but there is a reasonable campsite down by the river with a substantial grocery store nearby. See here for a few pictures. Modern Annecy is an agglomeration of 13 small municipalities producing a total population of more than 50,000. It is the capital of the Haute-Savoie department in the Rhone-Alpes region of France and is located on the northern shore of lake Annecy. The lake is about 9 miles long and 1/2 to 2 miles across and is fed by the river Thiou that runs through the city. The Thiou, at about 2 miles in length, is one of the shortest rivers in France. 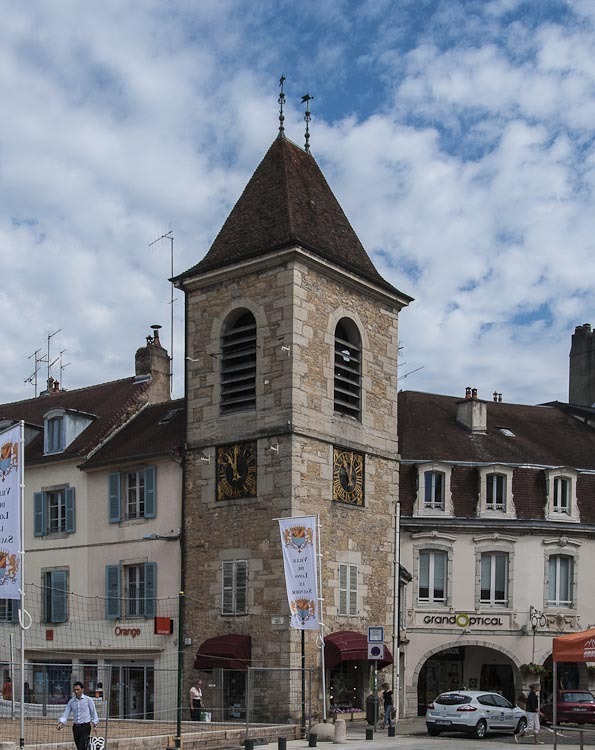 The area in the vicinity of Annecy has been occupied since at least 3,100 BCE and was home to an industrious community up through the collapse of the Roman Empire, after which the population declined precipitously. A mild resurgence occurred in the 12th century which supported the construction of the medieval fortifications but, it wasn't until the late seventeenth century, that the city really began to prosper again. This latter comeback was fueled by the industrial revolution and enabled by the hydraulic power of the river. 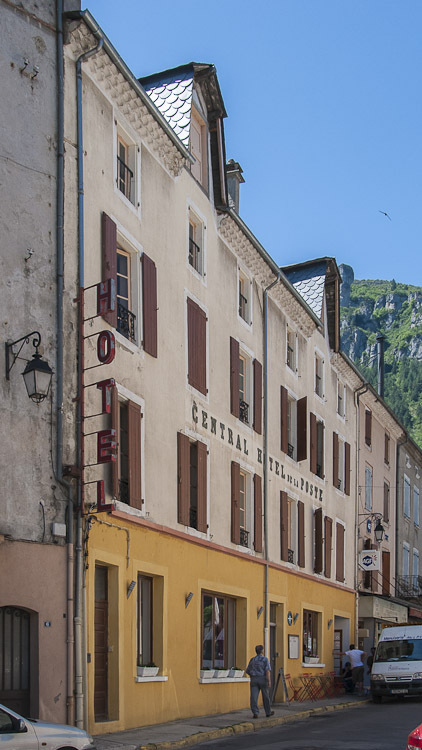 In 1860, after the annexation of Savoy to France, Annecy became the capital of the new department of Haute Savoie. Annecy is host to several annual and bi-annual film festivals and, for the casual explorer, offers something for everyone. Leaving the Alsace region, we headed south into the Franche-Comté region and visited Lons le Saunier in the Jura department. 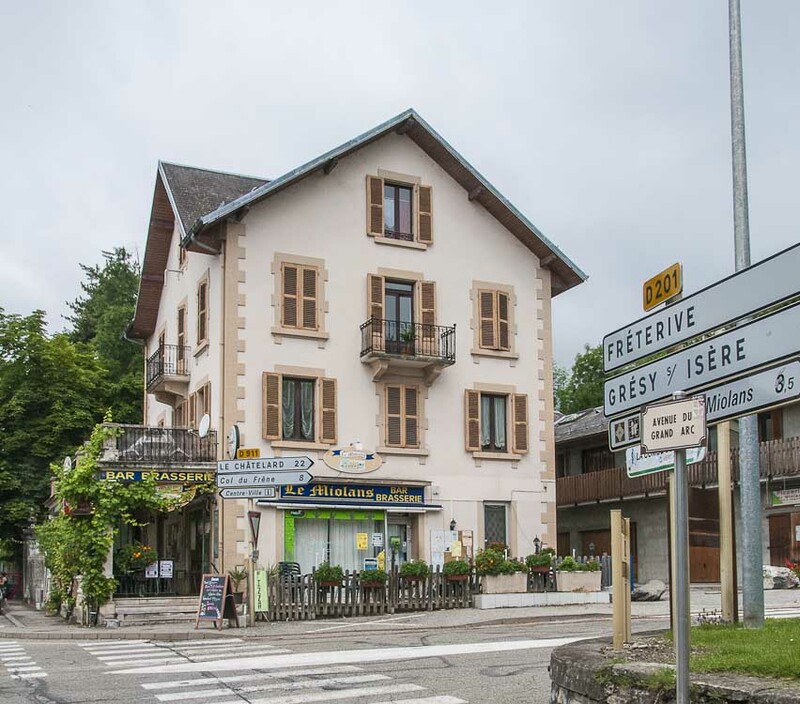 In one travel guide Lons le Saunier is decribed as the sort of place you would stop by for a coffee if you were really thirsty. It is actually an old Roman salt city nowadays known as a spa city where visitors can sample the therapeutic effects of the salt water. 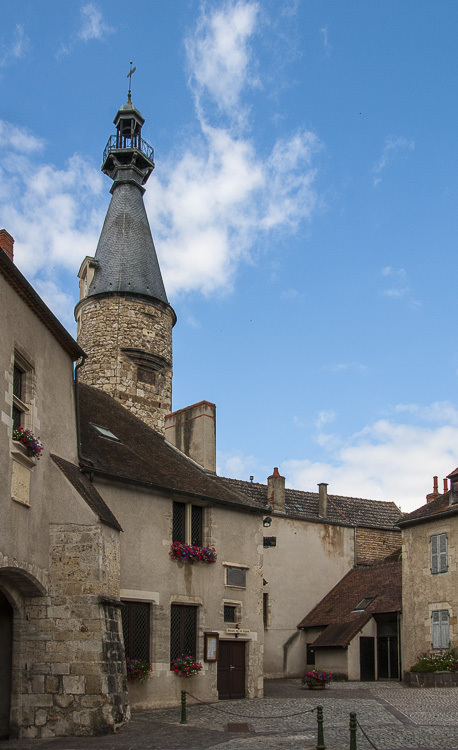 In the heart of the Jura vineyards, Lons le Saunier is a picturesque and historic city. For our purposes, it was on the route we were following and had an adequate campsite nearby for a couple of nights R&R. 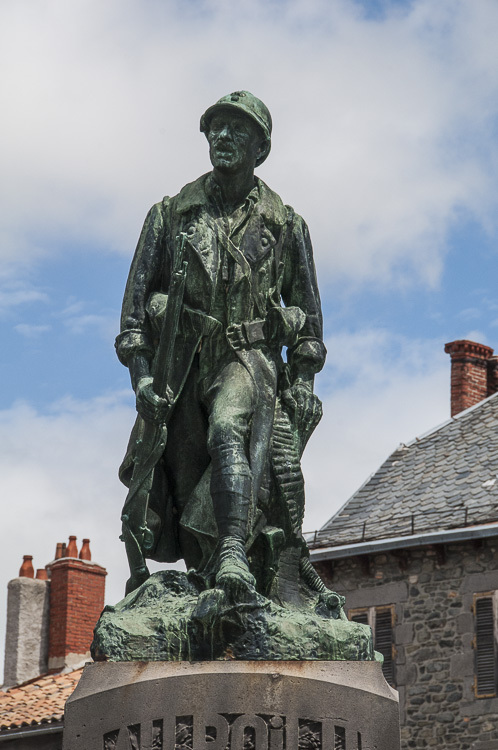 We did make an incursion into town and confirmed the guide book's assessment. Lons le Saunier is a sprawling, ill-defined town, home to about 19,000 people and seems to be struggling to develop an identity. The Place de la Liberté with its theater and Grand Cafe are the focal point of cultural and social activities. 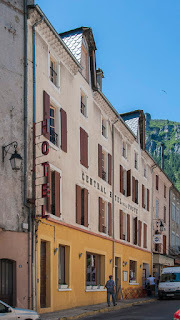 Geographically, the town is at the foot of the Jura massif and, although the River Vallière runs through it, the river has been enclosed since the 1960s due to contamination. Just one small section remains open where it is crossed by the Pont de la Guiche, the solitary bridge. See here for a few more images. Breisach am Rhein, a town of approximately 16,500, is on the right bank of the river Rhine in the Breisgau-Hochschwarzwald district of Germany. Before 1820 the hill on which Breisach stands became an island during flood season. Johann Gottfried Tulla, a German engineer, put a stop to this when he straightened the river - actually reducing the river's length between Basle and Worms from 220 miles to 170 miles - in the space of a few years. Navigation and flooding problems were greatly alleviated along the upper reaches of the Rhine although the middle and lower Rhine suffered serious flooding thereafter. So much for unintended consequences. The Breisach cathedral - Saint Stephansmünster - was begun in the early 13th century and, by the early 16th century, the town had become a significant stronghold of the Holy Roman Empire. In December 1638, Bernhard of Saxe-Weimar, aided and abetted by the French, conquered the city and attempted to establish a new territory. Bernhard died the following year and the town somehow slipped into French hands. Hmm. The ownership changed several times more over the next 150 years finally ending up a part of Germany and the general instability of the area moved France to build its own fortress, Neuf-Brisach, on the left bank of the river. During WWII, 85% of Breisach was destroyed by Allied artillery as the Allies crossed the Rhine and Saint Stephansmünster was also heavily damaged. See more views around town here. Still in the Haut-Rhin department of the Alsace we stopped at an odd little town called Neuf Brisach, population 2,200 or so, its name taken from the town of Breisach just three miles away across the Rhine in Germany. 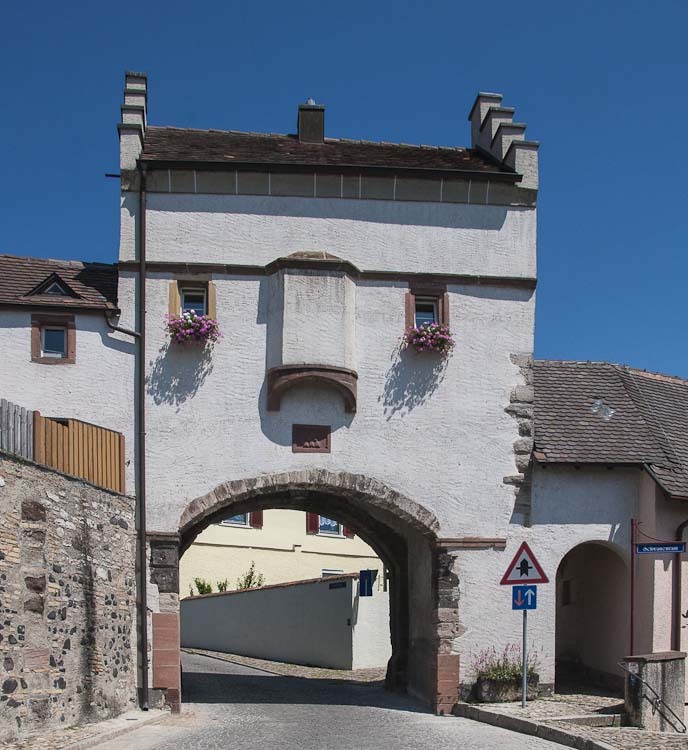 After Breisach was lost to the Habsburgs in 1697, this fortified town was built by the French to guard the border. 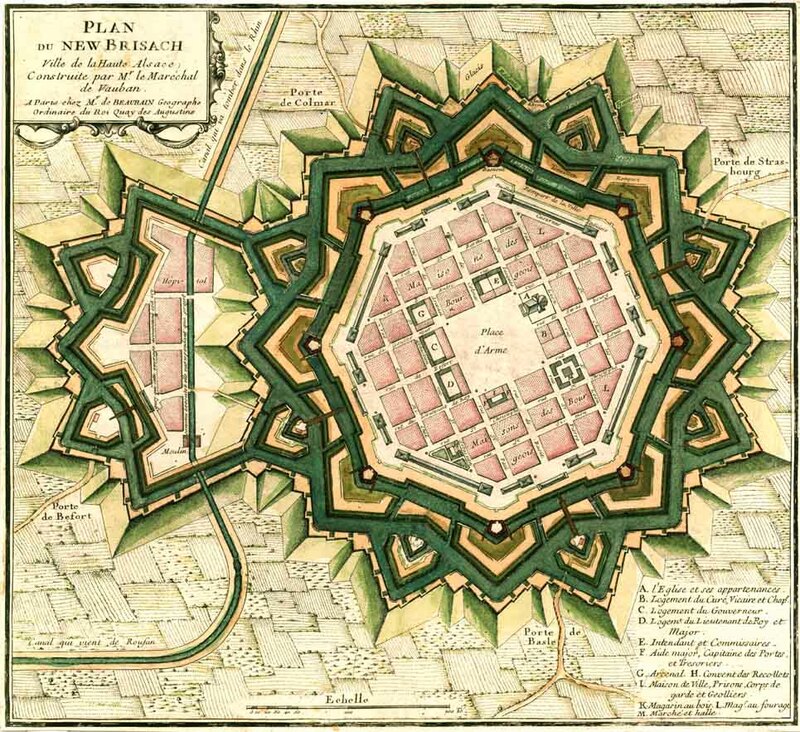 Louis XIV had his vaunted military engineer Vauban design the project and work started in 1698. This turned out to be Vauban's last work - he died in 1707 and construction was actually completed by Louis de Cormontaigne. The layout represented the then current "ideal city" with a regular square grid street pattern inside an octagonal fortification. A 4 block by 4 block area was set aside at the center for the central square. Elsewhere, individual blocks were offered for private development for expensive houses in private gardens or as properties for commercial rent. Simpler housing was provided in long tenement blocks, built inside each curtain wall, which also had the effect of shielding the better houses from the risk of cannon fire. Access was provided by large gateways in the four principal curtain walls. The outer earthworks were deep and occupied a greater area than the city itself. Although the city suffered some damage in WWII, it still represents a very clear example of the latest in fortification work at the beginning of the eighteenth century and Neuf-Brisach was listed as a UNESCO World Heritage Site in 2008. Fortified or not, this "new" town has changed hands five times in the 300 years or so of its existence. More images here. Eguisheim is a tiny fairy tale town in the Haut-Rhin department of the Alsace region in north-eastern France. The Romans conquered the area, pushing out the Gaul tribe and, during their tenure, the Romans introduced the cultivation of wine. Numerous high quality wines are produced there to this day. In the early Middle Ages, the Dukes of Alsace built a castle (11th century) around which the current settlement developed. 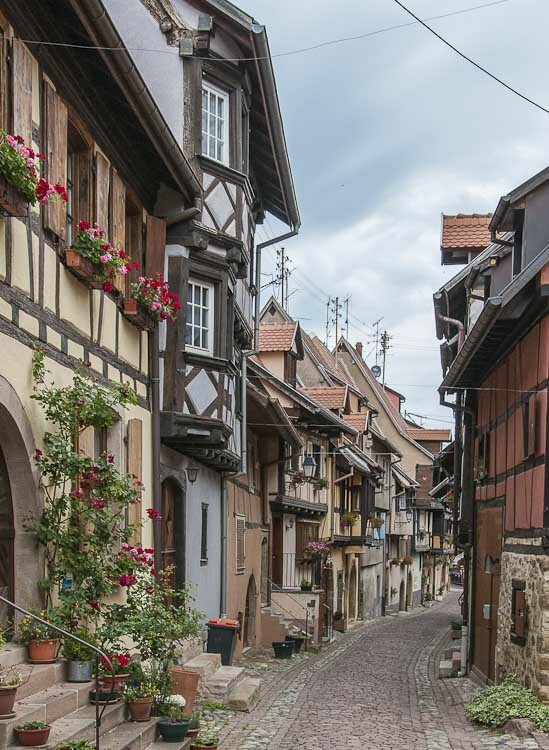 The village is on the Alsace "Wine Route" and is a member of the Les Plus Beaux Villages de France ("The most beautiful villages of France"), both of which draw many visitors each year. The name of the city comes from "home of Egino or Egeno," the Count of Eguisheim and the first official mention of the city dates back to 720. At the center of Eguisheim, which was fortified in 1257, are the remains of the castle that was constructed in the 13th century by the Count Eberhard. If you ever get to this region of eastern France, do take a while and checkout this treasure. More pictures here.